Any investigation into San Francisco’s jazz heyday of the 1950s requires a stop at the Club Hangover. Operated by bandleader Doc Dougherty on Bush Street throughout the decade, the club became a Dixieland jazz headquarters. Now home to an adult movie theater, the club is long closed. The music lives on however in recordings made at the time, which are now available online, much of it for the first time ever, in complete, unedited recordings. Using tapes preserved by radio station KCBS, jazz broadcaster Dave Radlauer has archived KCBS broadcasts of Hangover sessions from 1954-58. On-air host Bob Goerner interviewed musicians from the KCBS station using a dedicated phone line that delivered a signal from the club on Nob Hill. Goerner preserved the show tapes, which are now housed in the Stanford University Braun Music archive. 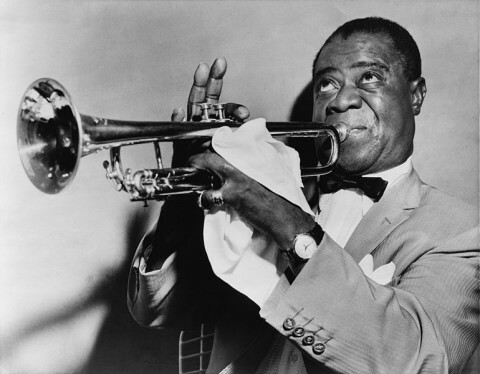 Radlauer makes the archive available as .mp3 files, including one particularly historic jam session starring Louis Armstrong. The story goes that in January, 1951 Armstrong was in San Francisco to visit his friend clarinetist Pee Wee Russell in the hospital and decided to throw Russell a fundraiser. He brought together a masterful group including pianist Earl “Fatha” Hines, credited with helping transition jazz piano from stride to swing. The place was packed and $1,500 went into the kitty for Russell’s medical bills. You can listen to Armstrong's rehearsal and performance below. “Fatha” Hines was quite a performer himself. A popular headliner, his music ranged from Dixieland to bop. Another favorite at the Hangover was Muggsy Spanier, a cornetist known for his emotional solos and masterful use of the plunger mute. These guys lived in the Bay Area: Hines was a resident of Oakland, Spanier lived in Sausalito and trombonist Kid Ory raised chickens for a time in Petaluma. I saw Louis Armstrong play at the Macumba nightclub in the 1950’s on Grant Street, San Francisco. (1) The date he played at the Macumba when I saw and heard the show. I think it was 1956, not sure. (2) How to get the address of the building housing the Macumba club on Grant Street as the Club is no longer there. I am willing to send copies of the picture I had with Louis for anyone interested. 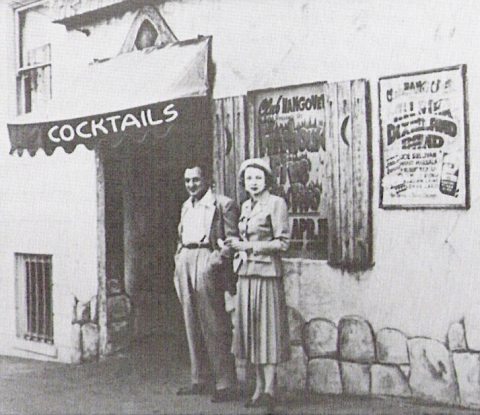 My grandfather owned The Macumba Club. Lee Jones was his name.